Gold for RCTFC’s Emily Bowles and Silver for Monika Arcadi in the nose to nose finish 800m. 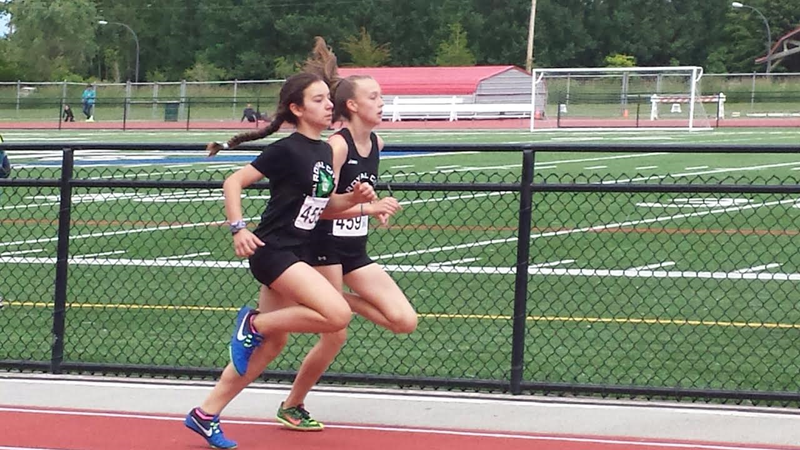 It was a race to the finish for RCTFC’s own Emily Bowles and Monika Arcadi in the 800m. The athletes placed 1st and 2nd in both the 800m and the 1200m in their 13 year old age category. Monika Arcadi also picked up a Gold in the High Jump with a personal best of 1.50m. Six of RCTFC older Throwers dominated the medal count in throws events all around. In the 14-15 category, Lauryn Savela picked up the Silver in Javelin and Zuzanna Liniewski took Gold in Hammer. For 16-17 year olds, Jenevieve Patry-Smith won Silver in Hammer, Brianna Bates won the Bronze in Javelin and Joelle Pinvidic took Bronze in Hammer. Patry-Smith also won 4th in Javelin. In the 18-34 category, Lauren Vanee won Silver in Javelin. 9 year old Abby Brolin also excelled in throws, winning a Silver medal in Shot Put. 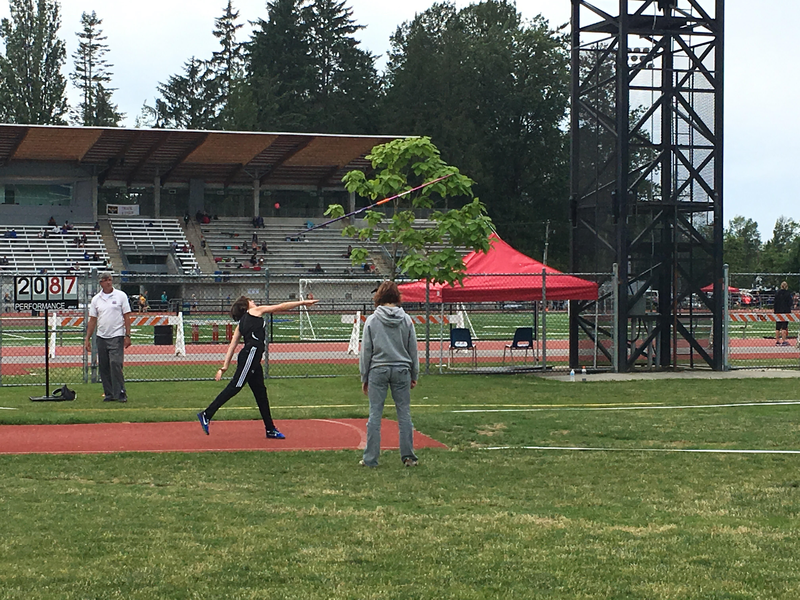 Other strong throws performances included Kate Bowles’ 5th place in Hammer and 7th place in Javelin for 13 year old girls. In the 11 year old boys’ category, Noah Brolin took Silver in Shot put and Markus Savela placed 5th in Javelin. Levi Turra took 7th place for Shot Put (12 year olds), 10 year old Julian Lauritzen took 7th place in Shot Put and it was 5th place for 9 year old Gavyn Hollett in Shot Put. In the 14-15 year old category, Emma Dolman won Bronze in the 300mH and Ella Foster took the 8th place finish in the 200m. Foster also scored 6th place in pole vault. On the track, for 11 year olds, Mballany Mahmoud took 7th place in 60m and 8th place in 60mH in the girls’ race and in the boys’ race Noah Duke took 8th for 200m and 800m. For 9 year old girls, Abby Brolin won 4th on the track in 600m, 7th in 60m and 100m and 8th place in 60mH and 9 year old Gavyn Hollett took 7th place in 100m for the boys. Other top 8 performances on the track included 13 year old Cameron DeWith’s 7th place in 800m and Ethan Lauritzen’s 7th place in 80mH.